With macOS Mojave came Voice Memos, a handy feature that was previously available only on iOS. 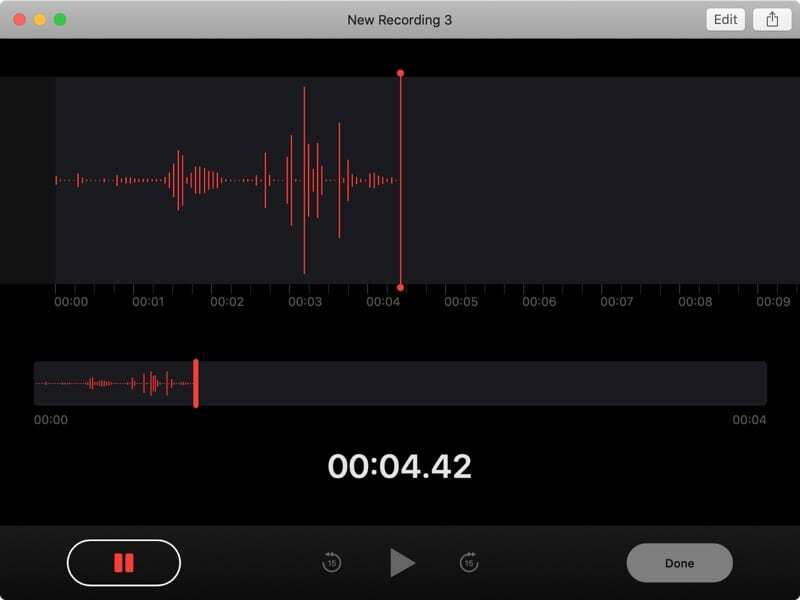 If you’ve used Voice Memos on your iPhone or iPad, then you know how useful the app can be. You can quickly and easily record voice notes for yourself or conversations with others like meetings or interviews. Working with Voice Memos on Mac is just as convenient, but if you haven’t used it, we show you how to use this feature on macOS. 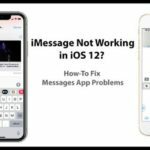 3 Where are the Voice Memo files located on my Mac? 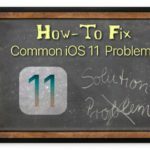 Even though the app is super easy to use, here are a few basics that will get you started. 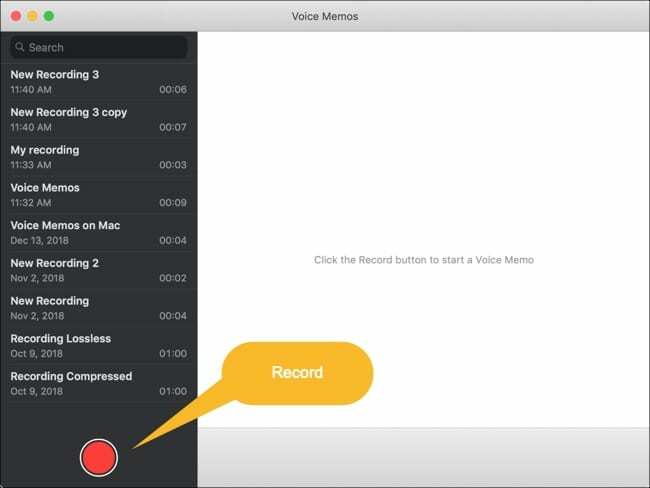 To start a voice recording, just open Voice Memos from your Applications folder and click the big red Record button. 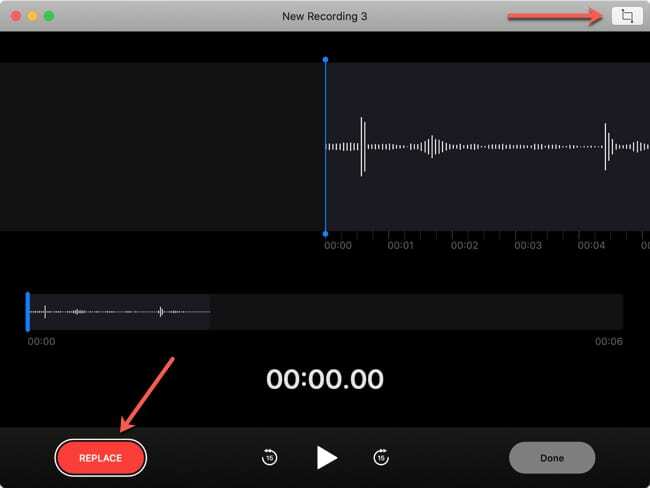 Start recording by clicking the Record button on the bottom-left pane. Once you start recording, you can pause, play, move forward, move back, and just click Done when you finish recording. 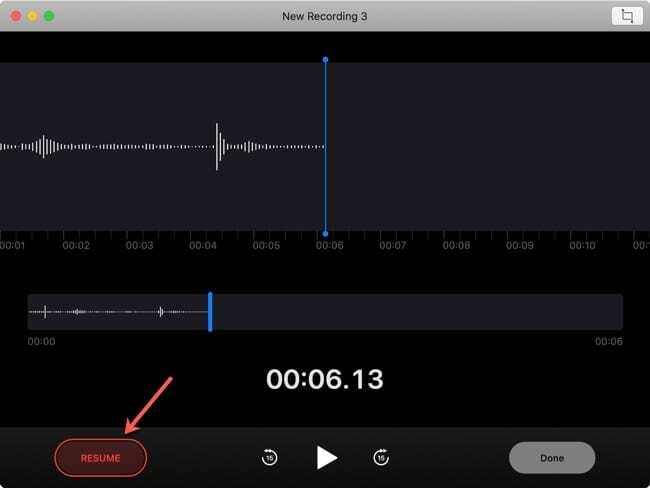 Pause your voice memo recording by using the Pause button. By default, your voice memos will be saved with “New Recording [number]” but you can rename them and probably should so that you can easily recognize them. You can rename voice memos in two ways. Click on the voice memo in your list and then click on the name to put your cursor inside the field. Use Delete to remove the current name. Select the voice memo in your list. Click File > Rename from your menu bar. Rename your Voice Memo using the menu options. 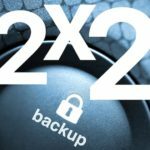 If you would like to duplicate a voice memo on your Mac, select the recording from your list and then click File > Duplicate from the menu. To get rid of a voice memo, select the recording from your list and click Edit > Delete from your menu bar. If you want to share a voice memo, select the recording and click the Share button on the top right of the app window. 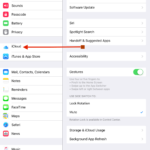 You can quickly share via Messages, AirDrop, and Notes, or choose More for your default sharing options. 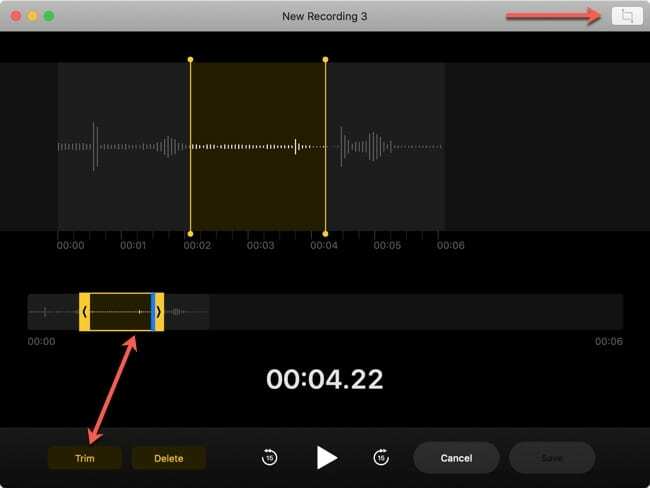 If you need to cut out parts of a voice memo, you can trim it right within the app. Select the recording from your list and click the Edit button on the top right. On the Edit screen, you can move the blue slider to the exact spot in your recording. Or, click the Play button and then hit Pause when you get to the place you’d like to edit. Click the Trim button from the top right and use the slider to delete a portion of your recording or trim it. For instance, there may be noise at the beginning that you would like to remove. You can move the yellow slider from the right all the way to the left capturing the part you want to remove within the handles. Then, click Delete and that portion will be removed. Use Trim and Delete functions to adjust the recording. As another example, you might want to cut the beginning and ending. Move the yellow slider from the left and right sides to only capture the part you want to keep in the handles. Then, click Trim. Use trim function to selectively edit your voice memos. When you finish trimming your voice memo, click Save to keep your changes and then Done to exit to the main Voice Memos screen. Maybe what you need to do is replace part of a recording. On the edit screen click Replace, record your new audio, and then click the Pause button to stop. Click Done when you finish to go back to the main screen. 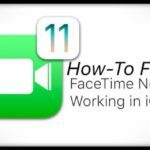 How to Replace a portion of the Voice Memo. 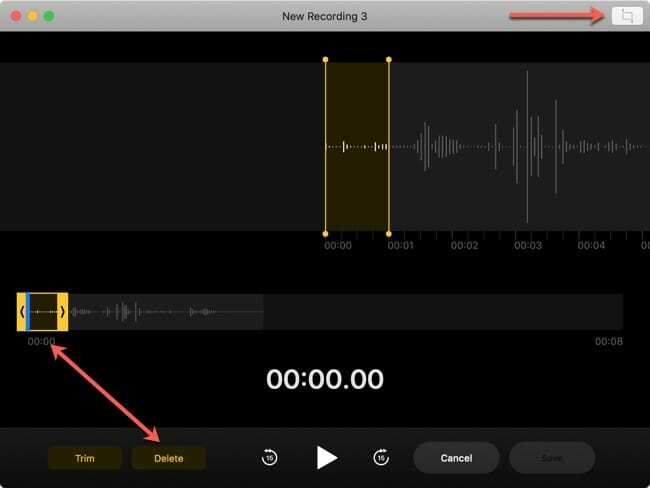 You can record more onto the end of an existing voice memo. On the edit screen, move the blue slider to the very end of the memo. You will see the Replace button change to a Resume button. Click Resume, continue recording, and then click Pause and Done when you finish. Use Resume to add in a segment to your Voice Memo. If you make a change to a recording that you wish you hadn’t, click Edit > Undo from the menu bar. 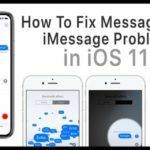 Just be cautious when editing your voice memos because if you hit Save or close and reopen the app, this action will not be available. 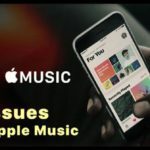 Where are the Voice Memo files located on my Mac? 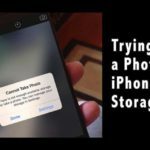 While you can easily see and manage all of your recording within the Voice Memos app, you may want to access their storage location on your Mac. You can do this with Finder. Click Go > Go to Folder from your menu bar. Enter the path below into the pop-up window, replacing “your_username” with your own Mac user name. Locating Voice Memos files on MacBook via Finder. The Recordings folder will open with your saved voice memos. Unfortunately, they are not named as you saved them in the Voice Memos app. For some reason, they are named beginning with the date they were recorded. Recordings named prefixed with dates. The Voice Memos app is a nice addition to macOS. And with how easy it is to use, try to take advantage of it by recording notes to yourself, brainstorming sessions, or meetings when you have your Mac with you. 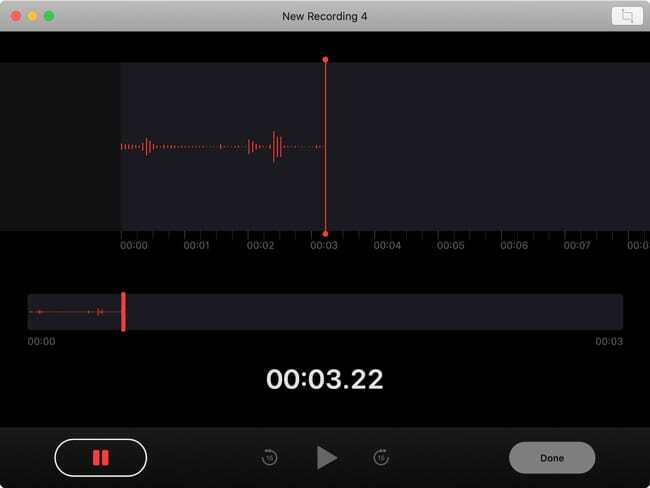 Are you going to give Voice Memos on Mac a try? Please let us know if you have any questions using the comments.